Are you tired of playing the same old openings again and again? Perhaps it's time for a change: choose Dangerous Weapons and amaze your opponents with new and exciting opening ideas! In this book, three opening specialists get together to take a revolutionary look at the Caro-Kann. In doing so they take the road less travelled and concentrate on fresh or little-explored variations - selecting a wealth of 'dangerous' options for both colours. 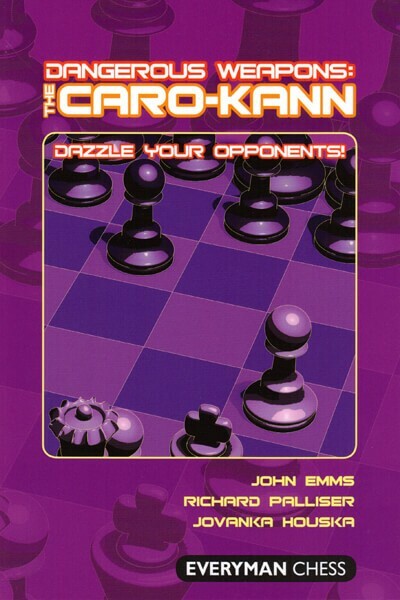 Whether playing White or Black, a study of this book will leave you confident and fully armed, and your opponents running for cover! * A large array of weapons to shock your opponents.